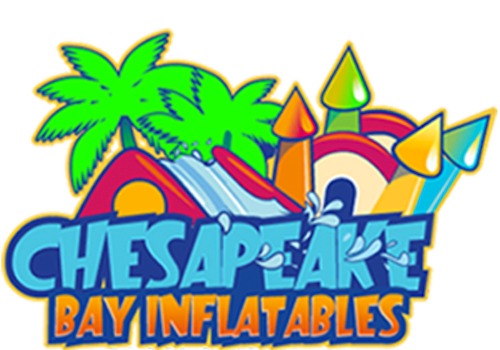 Welcome to Chesapeake Bay Inflatables, the #1 place for a bounce house rental! Kids love the fun of our awesome bouncer rentals and parents love how safe they are. All of our jumper rentals have an easy access ramp that makes it simple for even the smallest jumpers to enter the jumper. The sides of all our bounce house rentals are perfectly netted to provide proper air flow to all the little jumper, this will keep them nice and cool. The nets also allow for parents to be able to peek in on their kids. Our bounce house rentals are anything but average! We have Castle Bouncers, Sports-Themed Jumpers, and bouncers with slides. That’s right! We have a great selection of combo bouncer rentals. 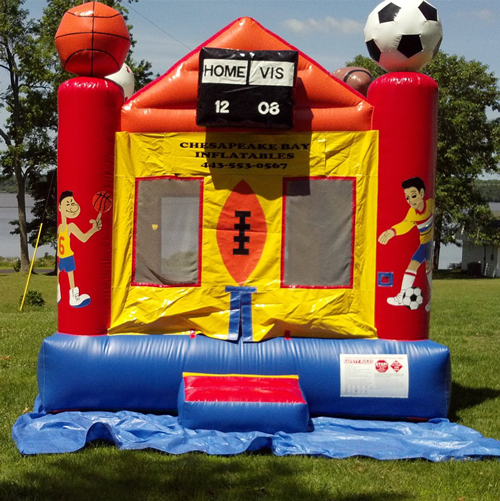 Combo Bouncers are great for entertaining a large crowd! You might even spot some adults on there. Chesapeake Bay Inflatables will provide your party or event in Chesapeake city with a great bounce house rental, that will have the kids jumping for joy. We are a full-service company so you don’t have to worry about delivery or set-up, we take care of all of it. Contact Us today and let us take care of all your party or event needs!